Connect with the JennAir Epicenter through chat, email, or call to tap into the brilliant minds of experts who know JennAir® appliances inside and out. Receive diagnostic codes on the app and they'll deploy service targeted to your range's best interest. Receive comprehensive insights on the status and behavior of your dishwasher, month to month, infused with inspiration curated to complement the way you live. Postpone the start of your wash cycle in one-hour increments for up to 24 hours. Start your wash cycle on your terms. 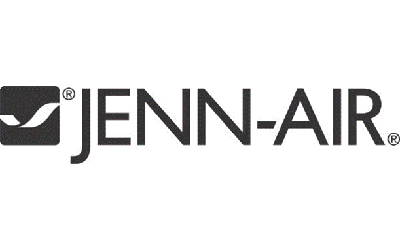 Automatically order dishwashing supplies when you're running low by syncing your JennAir® app with your Amazon account. The dishwasher estimates the amount you have left and targets the right time to order necessities like detergent. Select custom specialty wash cycles from the JennAir® app tailored to your lifestyle. Select from Gentle, Heavy, Specialty Items, Sanitize Wash or Quick Wash and download directly to your dishwasher. Remote start. Cycle monitoring. Connect to WiFi for real-time notifications and control your dishwasher from anywhere. Even download custom wash cycles directly to your appliance. Tap and swipe on both iOS and Android devices. Use voice commands with an Alexa-enabled device or the Google Assistant for a fluid experience. The Nest Learning Thermostat® anticipates needs across the kitchen, sensing when your home is unoccupied and providing cycle alerts. Enable smart shopping experiences with Amazon auto-replenishment.